If you are a millennial that loves to travel, you are part of the most prominent demographic of travellers. Millennials make up 20 percent of international travellers, and that number is expected to rise each year. What makes travelling so appealing to this generation? Social media probably helps. 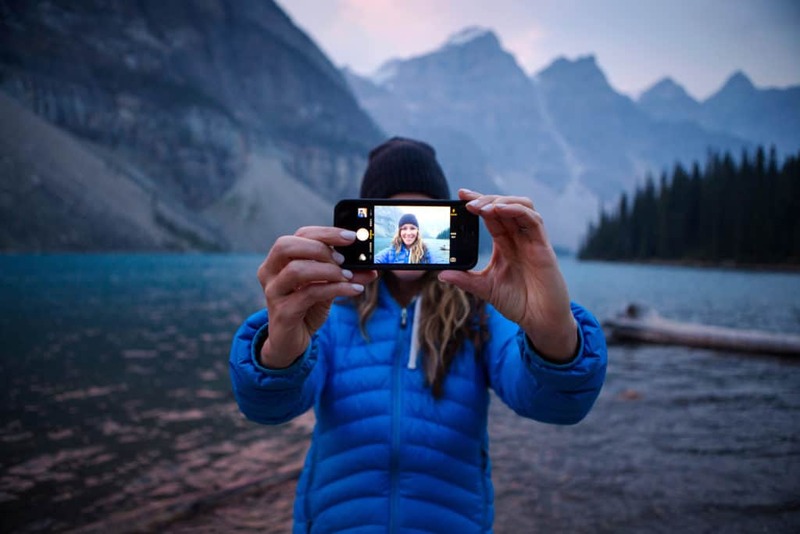 Many Instagram influencers make a living by touring the world and sharing their stories online. Why wouldn’t you want to try that out? So whether you are planning a trip of a lifetime to get your Instagram account viral, or just heading south for a week of hot sun, we have a few travel tips that will come in handy. A recent report shows that millennials are not getting travel insurance. Approximately 43 percent of young Canadian travellers skip the travel insurance before leaving the country. Some of the main reasons when asked were: travel insurance was too expensive, it was unnecessary, or their trip was short enough they didn’t think they needed it. Here’s the catch though. Millennial travellers make up approximately 32 percent of claims to insurance companies after travelling. With this generation wanting to experience the culture they are visiting as authentically as possible, things like injuries and sicknesses increase. So spend the extra money to cover yourself when travelling abroad. Nothing is worse than planning out the adventure of a lifetime to then see your passport is expired. No passport, no trip. Double check the expiration date and make sure it will still be valid while travelling. If you are applying for or renewing your passport, make sure it is done well in advance in case any issues arise. Once you have your passport and your trip is given the green light, make a copy of it. It’s a good idea to leave behind a photocopy of your passport and other identification in case yours ends up lost or stolen. Make a second copy to bring with you and store in a safe area where you stay. You don’t plan on getting sick while on vacation, but unfortunately, it can happen. If you are travelling somewhere you know is a high risk for diseases or illnesses, talk to your doctor before leaving. Make sure you are up-to-date on any vaccinations needed and ask about any specific shots required depending on your location. You don’t need to bring your entire wardrobe when travelling. Chances are no one will notice if you recycle outfits. Plus if you overpack, you run the risk of having to pay additional luggage fees. Make sure to leave any personal items that are high value at home. Decrease the risk of anything being lost or stolen that you cannot replace. Once you free up space in your luggage, then you have some room to bring back souvenirs. Travel safe and travel healthy on your next trip. As the generation of adventure, never be afraid to try something new. Follow these few tips to make sure your next vacation is one that you will remember forever. Good post you shared, These are the best tips to plan adventure trip. Health is the most important factor for it. Great tips! You describe the detailed information of adventure travel very well. I really enjoy reading your blog and I will definitely bookmark it! Amazing tips. Loved it throughout. Thanks for sharing. I think getting travel insurance is the best thing that new-age travelers can do. The world is at its most volatile right now and you cannot afford to travel – solo too – without insurance. Mishaps can happen and we should always anticipate them. This is the reason why I often take additional insurance on all flight trips – which is cheaper compared to standalone ones. Ultimate tips you shared! You discussed great tips to plan adventure trip! This is really useful article, i will definitely bookmark it. Such a good points you shared! This post is really helpful for travelers. I really enjoyed reading your post! Thank you! You have shared really very nice post, this guide will help people more. You blog is really helpful for us. Thanks for sharing! Looking forward to see more post! Your travel blog inspires me a lot as a fellow travel blogger. I have always loved your write up, pictures, thoughts and your travel tips. Look forward to many more lovely articles. Thanks for sharing such a good information. It is very much helpful for all travelers. I really like your blogs and tips which you discussed in this post! This is the thing which every traveler thinks about at least for once, what to pack is the essential part of travelling. Thanks for sharing this article. This is nice article and its really helpful for those who want to start their new travel destination and what to pack. You discussed great tips to plan adventure trip! So many great tips! You discussed great tips to plan adventure trip! I really enjoy reading your blog post. Thank you so much for sharing a great experience. These are really very nice tips, all these will gonna help very much for a newbie. Once I stuck at airport just because the passport not contains enough pages and I had to get back to my place with a dull face. Thanks for sharing these tips with us. Such a Great tips you shared! I’m happy to read this post, all these will gonna help very much for a newbie. Thanks for sharing amazing tips. Great travel tips. Thanks for sharing. Nice Article, safety and backup is a must for all adventure tours always keep multiple people informed about your tour so that is anything goes wrong people will miss you which could lead to a rescue.